Vitamin D is far more important to overall health than you might realize. This vitamin plays an important role in making sure you have strong and healthy bones, of course. But vitamin D is also needed by your heart, lungs, muscles, and brain in order for each of these organs to function properly. Now, here is an extraordinary thing: it could be that curcumin—the spice commonly found in curry—could be the equal of vitamin D when it comes to healing effects in the body. Let’s do a quick comparison of the effects of vitamin D and curcumin on the lungs, heart, muscles, and brain. Vitamin D: One clinical trial found that people with asthma are commonly deficient in vitamin D. In fact, the more severe the asthma, the more deficient patients were in vitamin D. The research team recommended that asthma sufferers should improve their vitamin D status to help treat and prevent the symptoms of asthma. Curcumin: One clinical trial compared the association of curry intake with pulmonary function among smokers and non-smokers. Curry intake was significantly associated with better lung function in both smokers and non-smokers and showed a protective effect in the lungs of those who regularly smoked. Vitamin D: One clinical review analyzed 25 cross-sectional studies. Researchers found, in 18 out of the 25 trials, that people who scored lower on cognitive function tests had a higher risk for suffering from dementia when their vitamin D levels were low and/or their intake was inadequate. Curcumin: Researchers from the University of Florida found that curcumin reversed chronic stress-induced changes in the brain. Memory deficits were reversed with curcumin in a dose-dependent manner, as were stress-induced increases in serum corticosterone levels. 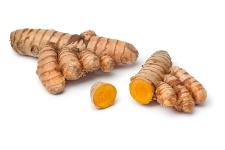 They concluded that curcumin may be an effective therapy for learning and memory disturbances caused by stress. Vitamin D: Researchers at the University of California San Diego found that vitamin D deficiency is associated with substantial increases in the incidence of hypertension, high cholesterol, myocardial infarction, and stroke, as well as in diseases such as chronic kidney disease and type 2 diabetes. Curcumin: In one clinical trial, curcumin was found to help with cardiac repair and to improve cardiac function after ischaemia and reperfusion. Curcumin also showed that it could significantly improve left heart function. In conclusion, the researchers noted that curcumin has potential as a treatment for patients who have had a heart attack. Vitamin D: One clinical trial noted that vitamin D deficiency is a well-recognized cause of fatigue and myopathy. When vitamin D was given to patients with a D deficiency, all reported an improvement in fatigue after vitamin D therapy. The researchers concluded that there was a definite link between vitamin D and healthy functioning of human skeletal muscle. Curcumin: Researchers at the University of South Carolina noted that running is associated with fiber damage, inflammation, muscle soreness, and muscle functioning problems. When they performed an animal clinical trial, mice given curcumin showed greater endurance and voluntarily ran for longer periods of time than mice given placebo. Curcumin was found to offset symptoms associated with inflammation and exercise-induced muscle damage. Clearly, keeping your levels of vitamin D adequate and adding curcumin to your weekly meals could offer a one-two punch for better overall health. Gupta, S.C., et al., “Therapeutic roles of curcumin: lessons learned from clinical trials,” AAPS J. January 2013; 15(1): 195-218. Korn, S., et al., “Severe and uncontrolled adult asthma is associated with vitamin D insufficiency and deficiency,” Respir Res. February 2013; 14(1): 25. Ng, T.P., et al., “Curcumins-rich curry diet and pulmonary function in Asian older adults,” PLoS One 2012; 7(12): e51753. Xu, Y., et al., “Curcumin reverses impaired cognition and neuronal plasticity induced by chronic stress,” Neuropharmacology. September 2009; 57(4): 463-71. Gunta, S.S., et al., “The effect of vitamin D status on risk factors for cardiovascular disease,” Nat Rev Nephrol. June 2013; 9(6): 337-47. Wang, N.P., et al., “Curcumin promotes cardiac repair and ameliorates cardiac dysfunction following myocardial infarction,” Br J Pharmacol. December 2012; 167(7): 1550-62. Bouillon, R., et al., “Vitamin D, mitochondria, and muscle,” J Clin Endocrinol Metab. March 2013; 98(3): 961-3. Davis, J.M., et al., “Curcumin effects on inflammation and performance recovery following eccentric exercise-induced muscle damage,” Am J Physiol Regul Integr Comp Physiol. June 2007; 292(6): R2168-73.